Functions as a normal full-sized shelf when needed and easily slides down for instant storage flexibility. Allows for extra door storage when you need it and tucks away when you don't. Use your voice to control your refrigerator with Amazon Alexa. Ask Alexa to heat up water for coffee and tea, or turn on TurboCool to restore the ideal temperature after frequent door openings. 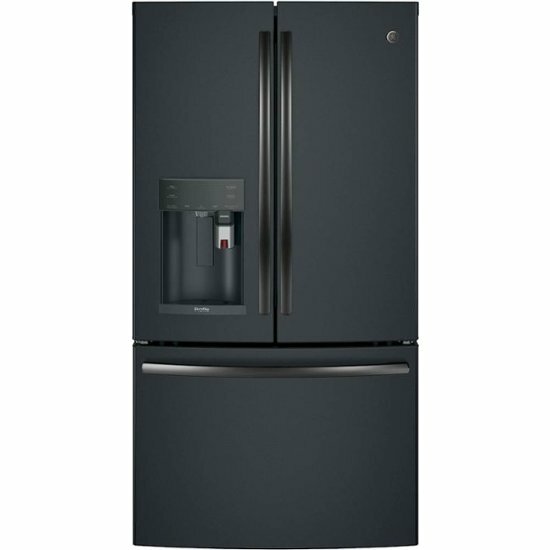 Click the button below to add the GE - Profile Series 27.8 Cu. 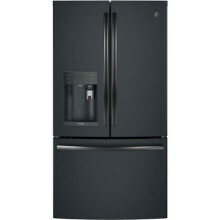 Ft. French Door Refrigerator with Keurig Brewing System - Black Slate to your wish list.